Tactical illumination for missions in the dark. Since the Nerf N-Strike Recon CS-6 was discontinued, we all deeply missed the cool accessory that came with it – the flashlight for the Nerf Rail. Now it’s back, sold singularly in an environmentally friendly package. Once attached to the Nerf Rail of your blaster it doesn’t only change and individualize its appearance, it also adds tactical possibilities. When it gets late or you mission leads into a dark basement, you be the hero. 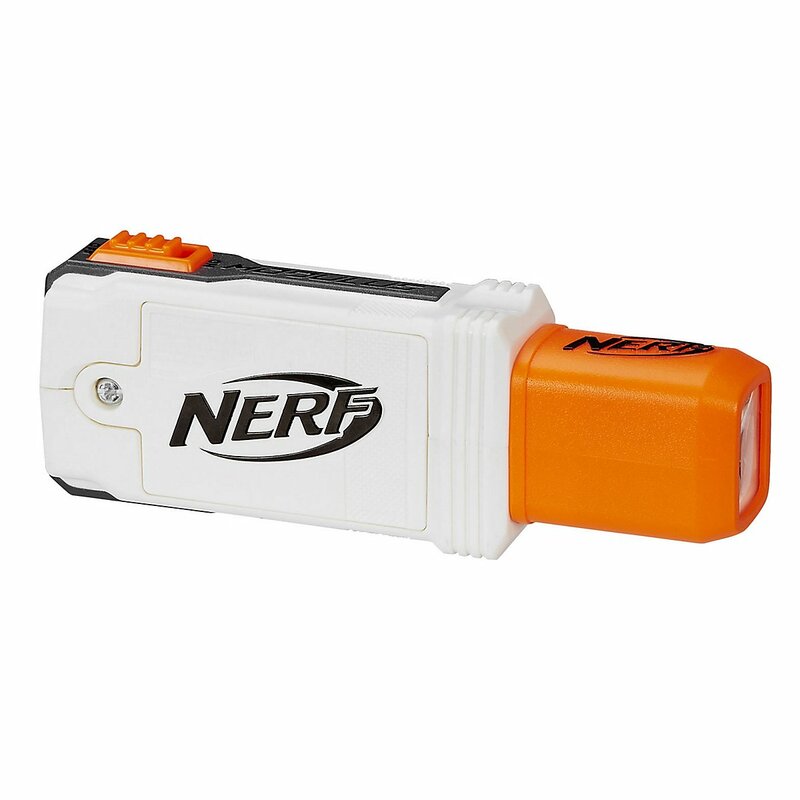 With the Nerf N-Strike Modulus XD Tactical Light you’ll shed light on everything in front of your barrel. The light will fit on every Nerf Tactical Rail offering new tactical options. Three 1,5V AAA Batteries (not included) are required for operation. Instead of in a colourful cardboard box, the Tactical Light is packaged in a sustainable brown box. This type of packaging is more environmentally friendly and cheaper. This is why this version is cheaper than the version with the standard packaging.